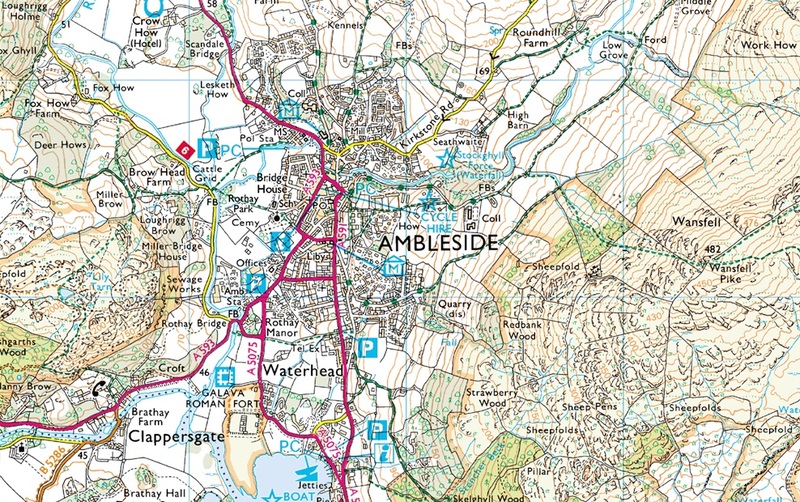 Notes: Waterhead Car Park - leave the A591 for the A595 (Borrans Road) as you enter Ambleside, Waterhead Car Park is just on the right opposite Wateredge Inn. Rydal Road – a large long-stay car park on the left as you leave the town centre northwards towards Keswick . Kelsick Road – a short-stay (cheaper) car park opposite the Public Library. Rothay Road, Miller Field – on left as you enter the town centre from the south.